This is the most advanced training on the science of building an organization that has ever been offered. It is a complete step-by-step system to growing an organization. It can help the industry beginner all the way to the seasoned professional. 12 audio CDs or 12 video DVDs, study guide and bonus business building materials. Includes 12 audio CDs or 12 video DVDs, study guide and bonus business building materials. And if you want to really move fast, you can order the Duplication Nation DVD Leadership Kit. It includes everything above, and also has the entire training on 12 DVDs and 12 Audio CDs. You also get eight additional study guides for group training. This way you can get your key leaders together and do the complete training in your living room. … nobody does it better. 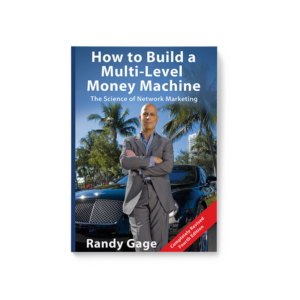 The two skills for which Gage is perhaps best known are his marketing (his direct mail campaigns are masterpieces) and his live presentation. A greater skill, though, is one that is more central to the topic: Gage has a masterful grasp of human nature. Priceless insights—at any price. Randy Gage has got the answers. Duplication Nation will dramatically improve your efforts and increase your bottom line. Buy it today! WOW! I’m fired up again. As always such a Crisp, Clean and complete training. Over time I will incorporate the entire Duplication Nation album into training my downline while maintaining myself in this state of knowing. 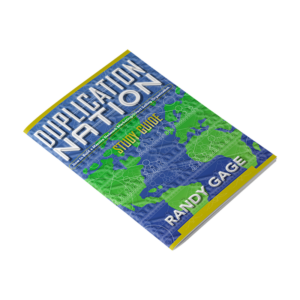 Randy Gage presents Duplication Nation in language everyone can understand. He is so engaging and teaches us in a most compelling manner the very basics of starting out fast prospecting your warm and cold markets, growing a solid organization and developing real leaders. I honestly feel that I now have REAL tools to work my business and to become successful. Why didn’t anyone tell it to us like this before? Thank you Randy! For the first time with Duplication Nation I have a proven system that can be used to appeal to the “non-sales types.” I knew there had to be away to appeal to that segment of prospects. The outcome has been consistent…drop out after drop out. Now there is a better way. Duplication Nation will slash 4 to 7 years off your learning curve. This is some of the most life-changing information I’ve ever seen. I used this to create a 5 figure a month income.